Data’s birthday was mid October but we had no time to celebrate because Spock was in the hospital. Worf’s birthday was few days ago but it was a work day so the humans couldn’t serve us well. So we’ve celebrated today. Data got the traditional Hard Rock Cafe bag, this one from Rome. First thing he and Spock did was, of course, to break another exit. Then they chewed it. I was lucky enough to get the photo before all of this. Worf and I got some other bags, one for each. And… Ta da da dam! A looooot of pellets! A loooot! Can you see it in the food bowl? Of couse noy! We’ve ate them alllllll! 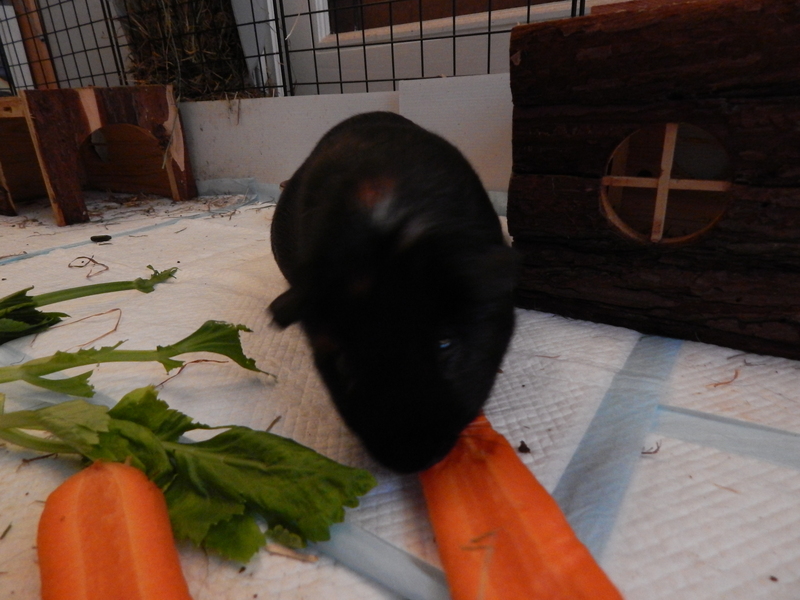 This is why I love Worf’s birthday: I get to eat loads of pellets although usually the humans are very attentive not to give me the opportunity to get fatter. Now, to be honest, it was a nice day, but I am sure all the gifts were there to bribe us for the Christmas photo session… But that’s another story. The humans get the supplies for us from different sources. The main one is the supermarket, of course, from where the fresh vegetables come. Lately we need to share them with the bh, but she eats less than one of us so it’s fine. Usually the hf comes home with a huge bag of veggies that is enough for few days. On Fridays is the hm’s turn to do the groceries and he buys also beer along with our food. Still for us they get fresh water. 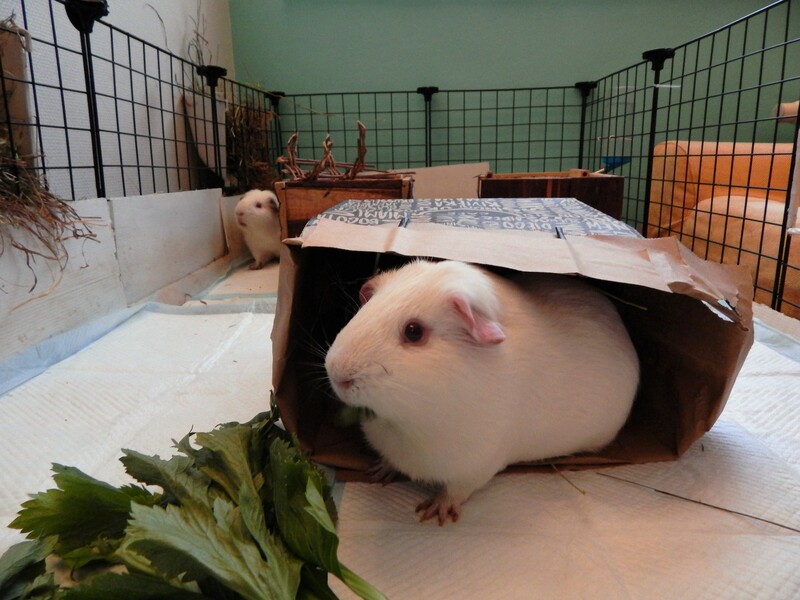 They even thought of taking us to the store and dropping us in the celery box while they are shopping. I think they are crazy to believe no other human would notice us and take us home (we are that cute!). The dry food comes from an online shop. And some of the pads used in our rooms. Last week we had a situation when we’ve noticed our dry food was almost finished and nobody placed a new order. We were already planning the revenge when the food was delivered. The humans were lucky! 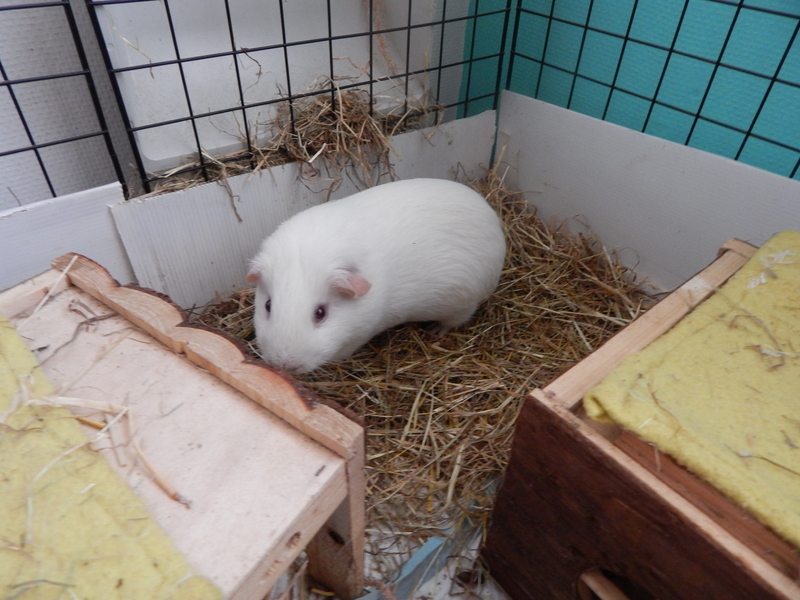 But I wanted to tell about the hay, not about what distracted me… And food is always a distraction! So right before going back to work the hf decided we need to stock food in case her life would turn that chaotic that she wouldn’t be able to follow up with our needs. 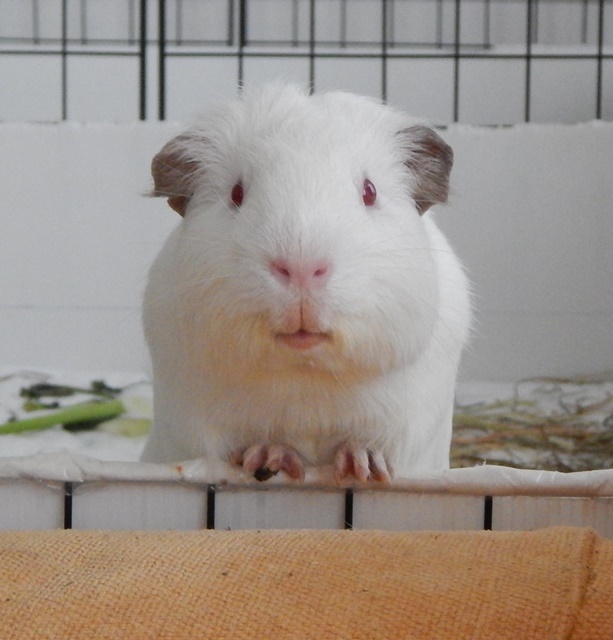 The veggies are just around the corner, but the hay from that source is not awesome. And we deserve the best! 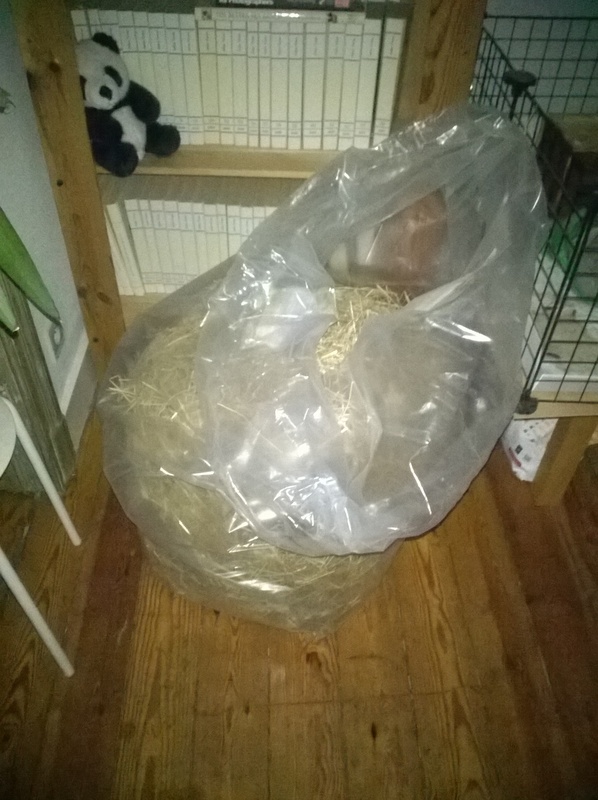 The hf went wild and bought an entire bale just for us. Of course it was ordered online and the delivery guy was somehow shocked to drop that to our door. We’ve managed to consume almost a half of it in one month and a good part got on the floor but we are good for another month or so. Now this is what I mean when I say “proper preparation”! I just hope they will do the same for my birthday which is in 2 weeks. Please excuse me now but I need to go chew some hay! Human, give me back my hay! I am mad! Or crazy! Or whatever… And it’s just because this hf drives me crazy. But let me tell you why. So, we love the hay. To eat or to play in it, we need to have hay. We get it twice per day and usually half of the ratio is eaten and half is used for other purposes. No, we don’t smoke it! Or at least we don’t admit doing it. 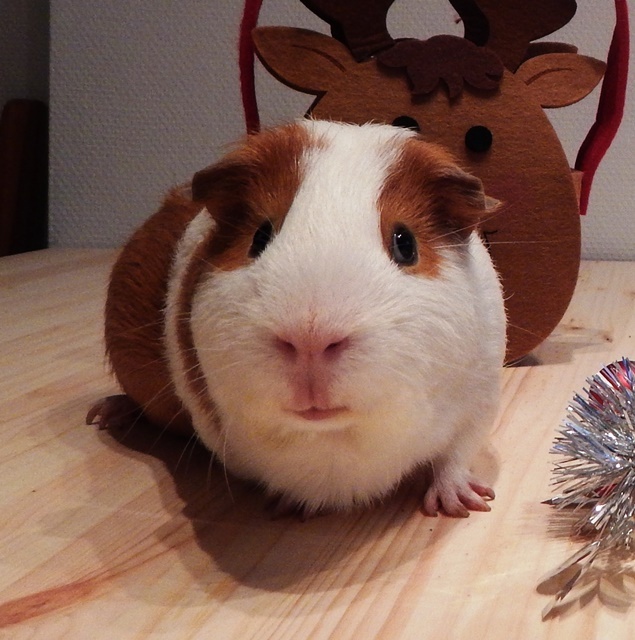 What else can you do with the hay except chewing it?! Well, Data and me particularly like to pull it down and sleep on top of it. 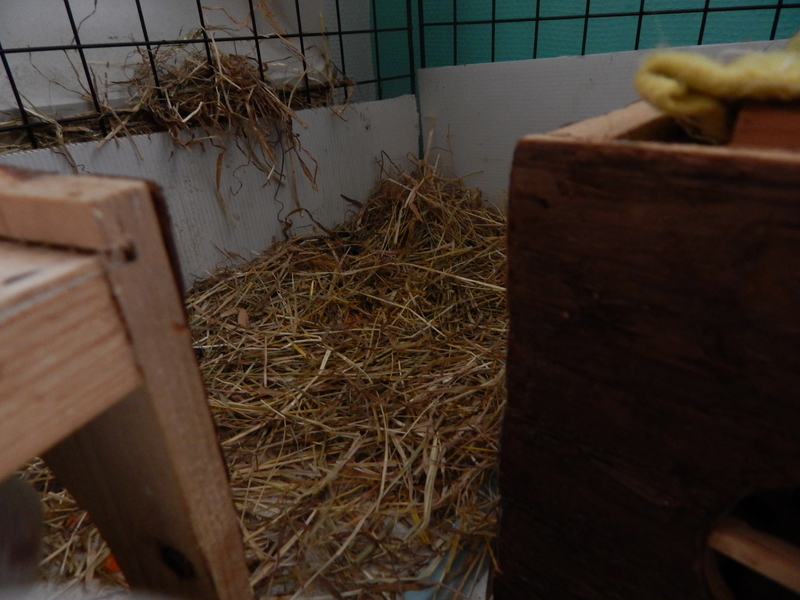 But the hf thinks it gets filthy and insists in removing the pad every evening and cleaning the hay pile. I have no clue where she gets this idea that the pile of hay gets stinky! It is true that we pee and poop on top of it, but this is no valid argument for the accusation. Moreover, I thought that if she would be busy with the baby, she would forget about this and we would get to keep our “dirty hay”. Why am I mad about this?! 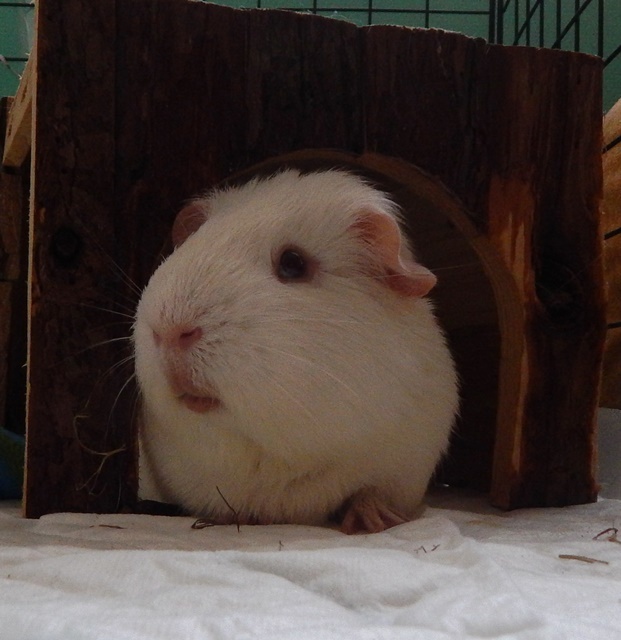 Because every evening, when I would prefer going to sleep on top of my hay pile, I must spend precious time pulling the hay down. OK, Data does help me, but still I consume calories. And i don’t like being accused of filthiness. But I’ll prove you with photos! First the pile right before she removes it. Next, one of us on top of the hay. Do we look stinky?! Just because I’m convinced I’m right, I’ve asked Data to put together a video. Maybe the hf will watch it and learn something! I think I’ll send her to see a shrink!